We see something that looks like fun, and before we know it, we are entangled in a trap. The brown paper bag was on the dining room table and the cat eyed it expectantly. She circled around it, captivated by the unusual object. Presently, she sprang, and enjoyed the crinkling sound. 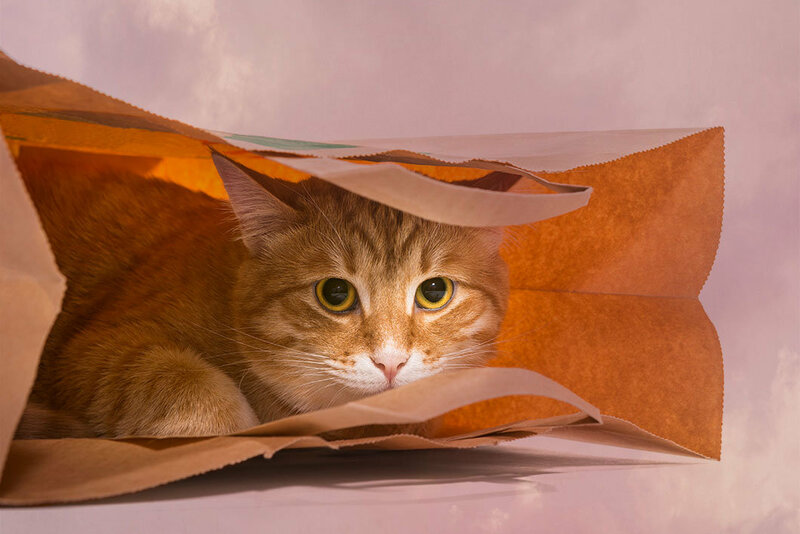 She batted it, swiped at it and then, she noticed that it had an enclosed place, this bag. This was a place into which she could enter. So, in typical cat fashion, she did. Aaah. She sat. Gazed. Bore deeper in and heard the crinkle. She moved a bit and the bag moved with her. This was great fun. We watched her, enjoying her enjoying the experience. We laughed at her antics and turned away. Before she or we knew what had happened, she had become entangled in the strap. Unable to extricate herself, she ran frantically around the house becoming more and more entangled and upset. Poor cat. My daughter ran after her and I ran after my daughter and my husband ran after me and the dog began to bark and it would have been hilarious if we weren't terrified that she would strangle herself or have a heart attack from fear! Finally, my daughter, screaming and angry, managed to lock her in her room and after much coaxing and pleading and yelling, she grabbed the pathetic beast and extricated her from her predicament. I kept hearing my daughter say, "I want to help you! I am trying to help you," and I knew this was another vivid reminder of how the LORD longs to help us, often to no avail. The creature had been beside herself, hiding under the bed and shivering with fear. Finally, like a drowning man, she stopped struggling and it was a matter of a few seconds and my daughter pulled the strap over her head and she was free. Foolish creatures. We see something that looks like fun, and before we know it, we are caught. Then, rather than sitting quietly, waiting for the deliverance that is sure to come, we, in our own strength, embroil ourselves deeper and deeper while trying to fix it ourselves. Finally, we need to get put between "a rock and a hard place" or, in this case, a stone wall, to see how easily the Master is able to solve the problem! We are all so "solution and goal oriented" that we forget to "be still and know that He is God." 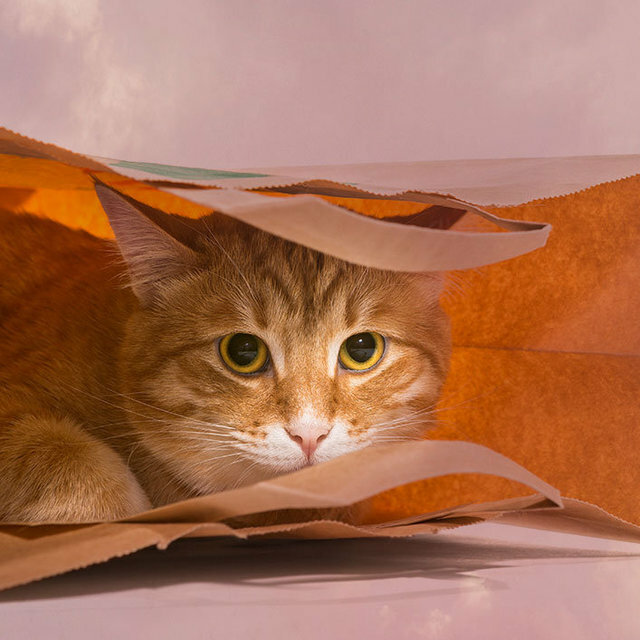 Cats and paper bags, people and anything! It crinkles. It is different. It looks cozy, and it is a trap. I wonder if the next time I am diligently trying to "fix" something that I have foolishly gotten involved in, that I remember this lesson. In the meantime....what is that glittering thing in the distance?